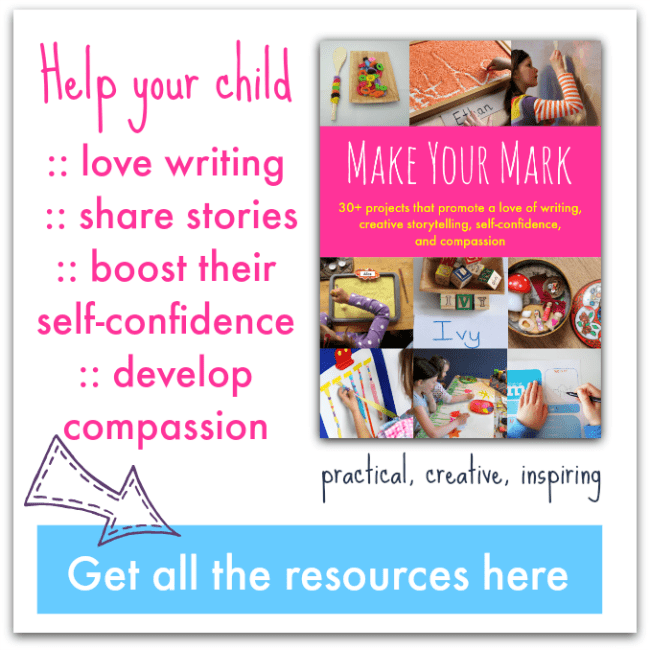 How do you promote literacy and encourage your children to try writing? We love to give writing a real purpose and to make it fun. One way to do this is to send some postcards. Chose your penpal. Who would your child love to write to? A friend, a grandparent, a character from TV or a story, or even themselves? Get your postcard and stamp. You can make a whole expedition out of going to the shop and post office. Or they might like to design their own postcard and draw it themselves. Write your message. What would they like to say? Younger children might need you scribe for them, but still give them the opportunity to make marks and ‘sign’ their name. For older children who are writing by themselves, I wouldn’t get too hung up about correct spelling and the neatest handwriting. This is all about fun and using writing for a real purpose – enthusing them with their own ability and showing them how clever writing can be, sending a message to someone else. Add the address and post your card. Do they know what an address is? Do they know how their card will be delivered to the right destination? They might like to send a card to themselves so they can watch out for the postman and see the process of the card being returned to them. Wait for a reply. 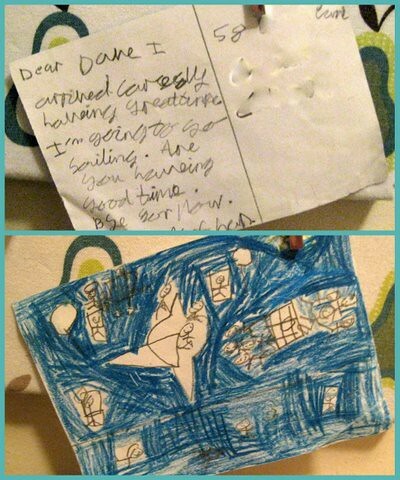 Tip off the recipient that a postcard is on the way and ask if they’ll write back to your child. If they’ve chosen to write to a TV character you might like to send a reply back on their behalf. This starts up a conversation and gives you lots more opportunities to work on literacy. This is great. I am going to add this link to my next Geography-Postcard post. I totally agree – writing with purpose is more fun. My daughter is now getting a big kick when she gets a letter from grandparents and is excited to write them back. I only wish that grandparents didn’t send any presents with their letters – it kind of defeats the purpose!